Cellist YOSHIKA MASUDA is fast emerging as one of the most unique and versatile artists of his generation. The press recently described him as ‘a remarkable cellist who possesses the intellect and innate musicality, which combined with his solid technique, allows him to accurately interpret different styles of music. It is fair to say that he is one of the finest cellists of his generation’ (Chopin music magazine). Yoshika has performed throughout his native Australia, Japan, China, the US and much of western Europe in prestigious venues such as the Mozarteum in Salzburg, the Opera House in Sydney, the Opera City Hall in Tokyo and the Walt Disney Concert Hall in Los Angeles. Yoshika is the 1st prize winner of the 40th Midland-Odessa National Young Artist Competition (strings) in the USA and the 25th Australian Concerto & Vocal Competition, but his most recent success was at the 11th VIVA HALL cello competition, the premier cello competition in Japan, where he won the 1st prize and the audience prize. In 2010, he was awarded the prestigious Yamaha Music Foundation of Europe String Award. His other accolades include top prizes at the Sydney Cello Award and the J&A Beare International Solo Bach Competition. He has performed as soloist with orchestras such as the Juarez Symphony (Mexico), Milton Keynes City Orchestra, Manchester Beethoven Orchestra, Sheffield Chamber Orchestra, North Queensland Symphony, Queensland Youth Symphony, Westlake Village Symphony and the YMF Debut Orchestra with conductors such as Sian Edwards, Nicholas Milton, and Lucas Richman. His performances were broadcast on ABC Classic FM (Australia), BBC Radio 3 (UK), Klassik Radio (Germany) and Concertzender Radio (The Netherlands). A keen advocate of contemporary music, Yoshika has given the world premiere of works by Michael Cutting (‘Epitaph’ with RNCM Orchestra), Xander Rodzinski (‘Inhale/Exhale’ for solo cello), Bent Sørensen (‘In the mist’ with Katrine Gislinge and Copenhagen Girls’ Choir) and Thomas Mellan ('...on transcendence' with SAKURA and USC Symphony). In recent years, Yoshika gave the US premiere of Jörg Widmann's Oktett, Toshio Hosokawa's 'Landscape II', and Nick Strimple's 'Zacharti Lach' with the Los Angeles Zimriyah Chorale. He also performed the Italian composer Michele Dall’Ongaro’s ‘Linea Nigra’ for cello and orchestra with the World Youth Chamber Orchestra on their tour of Italy. Yoshika is an avid chamber musician and has performed with artists such as Guy Ben-Ziony, Brian Che-Yen Chen, Natalie Clein, Nicholas Daniel, Peter Frankl, Charmian Gadd, Bruno Giuranna, Nicholas Mann, Alissa Margulis, Vincent Peirani, Paul Roczek and Qian Zhou. He is a founding member of the cello quintet SAKURA, whose performances were recently described by the Los Angeles Times as ‘brilliant… superb.’ and the resident cellist for the Salastina Music Society. In past years, Yoshika was invited to perform at the festivals of Aldeburgh and Leicester in the UK, Festival Amfiteatrof in Italy, Kirishima Music Festival in Japan, and the Yellow Barn Music Festival, Music Mountain Chamber Festival, and Piatigorsky International Cello Festival in the USA. His interests outside of the classical genre have led him to perform with artists such as Ben Folds at the Sydney Opera House and Pink Martini at the Hollywood Bowl. Yoshika is also featured on Leonard Cohen's last album 'You Want It Darker', which was released in October 2016 on Columbia Records. Born in Kobe, Japan, Yoshika first started playing the cello at the age of five but moved to Australia as a young child where he began his studies with Georg Pedersen at the Sydney Conservatorium of Music. He then studied extensively with Hannah Roberts and Ralph Kirshbaum, whilst also receiving close musical guidance from Thomas Demenga and David Geringas. Yoshika graduated from the Royal Northern College of Music in the UK with distinction and received the Principal’s Prize along with the Leonard Rose Cello Award for outstanding achievement. He recently gained his Doctorate of Musical Arts from the USC Thornton School of Music and was inducted into the Pi Kappa Lambda national music honours society. 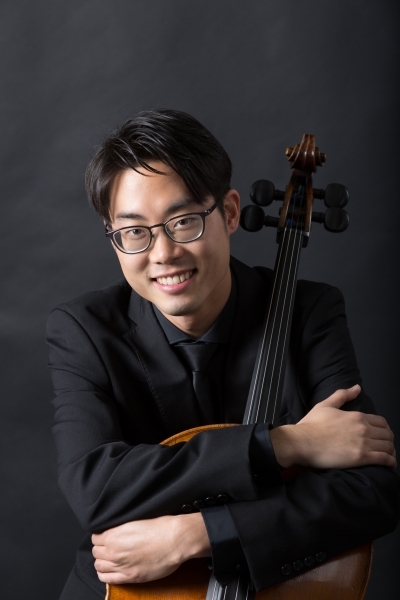 Having previously taught at Loyola Marymount University, Yoshika is currently the Assistant Professor of cello and Director of String Studies at California Lutheran University. Please visit www.yoshicello.com for more information.